With its standard digital capabilities, the ABB Ability Power Transformer provides a future-proof platform that delivers health data and actionable intelligence. Users gain access to ABB’s digital ecosystem and can thus optimize reliability, availability and productivity while improving capital efficiency. This article is a modified version of that which appeared in the ABB Review Special Report – Transformers 2018, pp. 13–17. The power landscape is predicted to change more in the next ten years than it has in the last 100 →1. This is mostly due to the change in generation mix, where the integration of renewables and distributed energy resources are having the double impact of adding volatile supply sources while causing a decline in traditional high-inertia generation such as coal. This volatility will increase further, on the demand side, as e-mobility plays a greater role in the near future. At the same time, many utilities and industrial companies are under pressure to increase their efficiency and productivity in order to remain competitive in their respective fields. 01 The ABB Ability Power Transformer delivers health data and actionable intelligence so users can optimize reliability, availability and productivity while improving capital efficiency. As critical elements in the electrical grid infrastructure, power transformers are impacted by these changes. While nobody can predict the exact effects on a typical power transformer over its lifetime of 30 to 50 years, it is certain that changing demand patterns will result in a more dynamic loading of the transformer, which can be detrimental to its remaining life→2. 02a Oil temperature level and hotspot temperature. 02 Typical transformer loading behavior: As transformer loading increases, so too does oil temperature, leading to hotspots. To address this situation, users need actionable information and insights to enable better decision making around, and management of, the asset, and a future-proof technology concept. Therefore, the time has come for transformers to become digital by design. This is why ABB has developed its ABB Ability Power Transformer (AAPT) as a new standard for power transformers. The AAPT is an integrated solution with electronic temperature monitoring and on-board intelligence on load and ageing conditions →3. 03 The standard ABB Ability™ Power Transformer offering. Additionally, the AAPT offers a wide range of options, leveraging ABB’s broad portfolio of devices, software and services. The technical development of the AAPT was based on a future-proof modular solution. 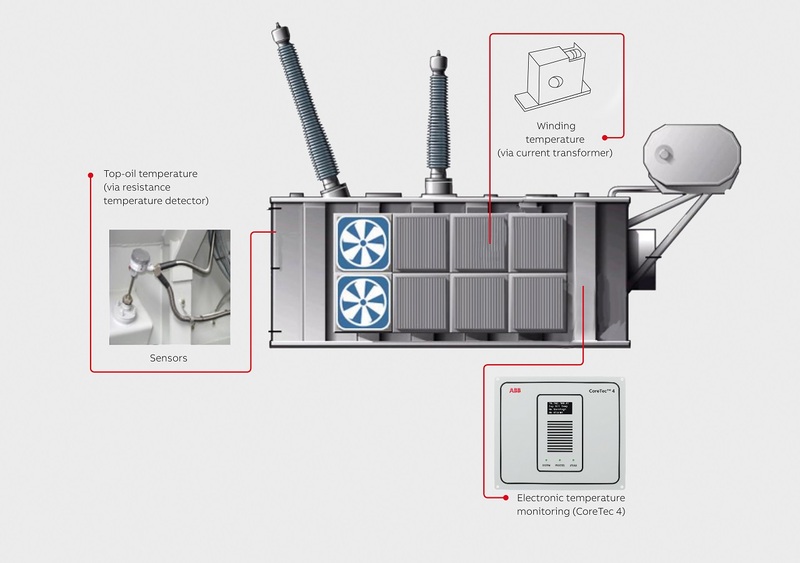 The platform concept covers everything from the basic package with electronic temperature monitoring and indicators, up to a full monitoring package with plug-and-play connectivity including the whole family of ABB eSeries (digitally enabled instrumentation and protection devices), ABB’s dissolved gas analyzers (DGA) CoreSenseTM and CoreSense M10. Furthermore, the AAPT was conceived with an agile development approach that allows potential new sensors and instrumentation – such as for the monitoring of partial discharge (PD) and bushings – to be promptly added to the open, vendor-neutral platform→4–5. 04 DGA and eSeries devices. Upstream connectivity options range from local devices such as laptops or tablets, control or SCADA (supervisory control and data acquisition) systems, to ABB’s own ABB Ability Ellipse asset performance management (APM) software. Even just the standard AAPT configuration brings the benefit that multiple data points can be trended and stored for future reference or used to compare the relative performance of parallel units and aid in future planning. The AAPT also includes a self-check or watchdog function. The AAPT platform has been conceived to be independent of the type and size of the transformer, as the accessories defined for the standard package are typically used in every oil-immersed power transformer. 05 Transformer with eSeries devices. Last, but not least, the AAPT is fully compliant with industry standards applicable to both power transformers and low-voltage controls for any region of the world. Many customers now demand actionable information, intelligent asset optimization and the ability to use real-time data to mitigate “nasty surprises”. The potential to network the AAPT is, therefore, a driver for many customers. The transformer can easily be physically connected to the station control via a built-in Ethernet cable and fiber-optic interfaces or wirelessly. All connectivity solutions are supported by state-of-the art cyber security and options include connection to ABB Ability cloud-based services. For that purpose, the ABB solution is certified according to IEEE 1686, IEC 62443, etc. Today, not everybody wants their most critical assets connected to the outside world. So, independent of the onboard cyber security, transformer monitoring can operate on premise and even in standalone mode. All data remains the customer’s property , should customers prefer, they can simply send ABB any raw data they may want interpreted and translated into useable information. Alternatively, customers can utilize ABB’s expertise on site. The beating heart of a power transformer is its windings, but traditional methods for controlling transformer cooling are based on monitoring the oil temperature rather than what is actually happening at the transformer’s hot spot. The aging of the insulation at the hottest point in the winding typically determines the life span of a power transformer; an oil temperature just 8°C above nominal could reduce the insulation life by up to 50 percent→6. 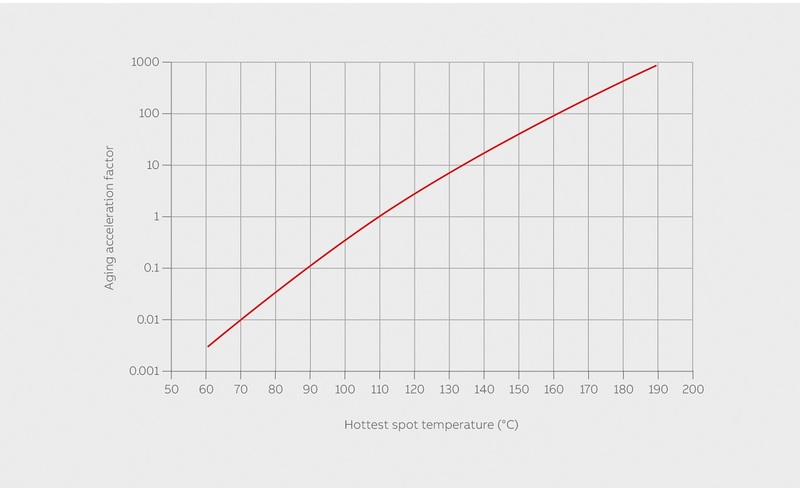 The AAPT’s modern Electronic Temperature Monitoring solution can accurately calculate the transformer’s hot spot based on design data and factory type-test results, together with dynamic variables such as the loading and oil temperature. The brain of the AAPT is the CoreTec 4 module. 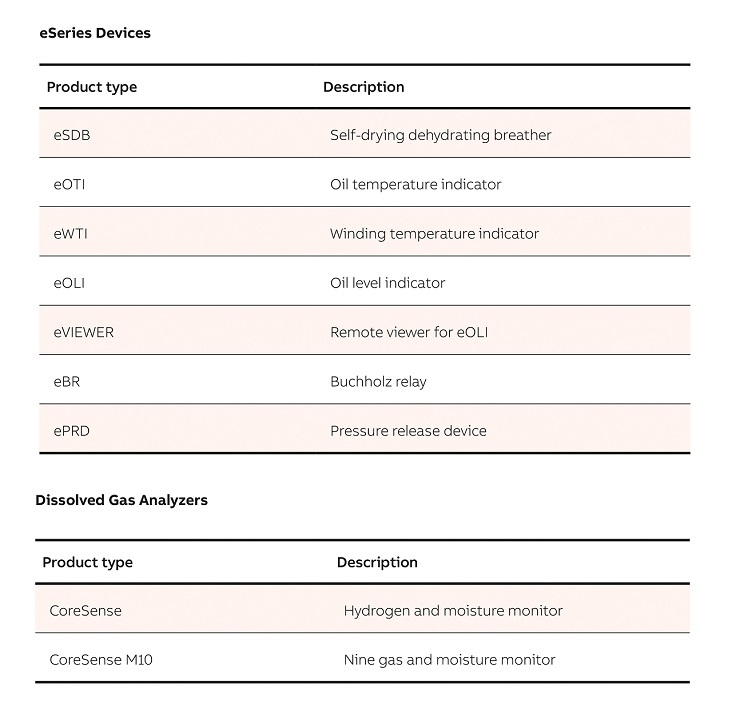 CoreTec 4 is a digital hub, responsible for collecting and analyzing readings from the different sensors, and processing them to provide an assessment of transformer operation (including cooling equipment governance, if needed) and life expectancy. For the development of CoreTec 4, ABB was able to leverage existing expertise and experience in transformer monitoring systems, building on developments that go back to the 1980s with first fiber-optic temperature monitoring systems, the 2000s with Transformer Electronic Control (TEC) and the previous CoreTec generations. Apart from functionality, additional design requirements such as compactness, expandability (by plug-ins), ease of installation and durability were considered in the development process. The AAPT has been validated as an integrated solution in several new and retrofit applications of different types. The validation included thousands of hours of real on-site conditions, at different locations and applications around the world. Data gathered during validation demonstrated the reliable performance, with all functional parameters within expected ranges, confirming the benefits of the measurement analysis. Reliability boost: adds the DGA (using, by default, CoreSense), breather status (via self-dehydrating breather) and the oil level from the electronic oil level indicator. Productivity boost: enhances the information about oil quality by using CoreSense M10, which covers the full spectrum of gas analysis together with moisture. These packages are well complemented by the Power Care service agreement, a common ABB offer consisting of a matrix of service packages that allow services to be chosen based on customer actual needs – from a single point of contact to full product engineering services. Various use cases were identified and proven in the field. In a transmission network, the information provided on temperature and load enabled the operator to optimize the cooling control in such way that the top oil temperature fluctuation was reduced from over 15 °C to less than 5 °C, under varying ambient and load conditions. This results in stable conditions for the insulation and extends the transformer’s lifetime. In an industrial installation, an operator noticed an increase of temperature and dissolved gases while the load was constant. An investigation found that a mineral buildup had resulted in a blocked fan at a heat exchanger – a situation that could have proven costly in the long run. In a smelter application, the customer wanted to increase their production capacity by 15 percent. Thanks to the digital capability it was possible to calculate the trade-off in terms of remaining transformer life, and to ensure the asset integrity while running the transformer in overload condition. In the future, with more data becoming available from an expanded base of installations, and with the advancement of analytics technologies, additional use cases will emerge that further leverage the digital capabilities and the ecosystem that ABB can provide. In the past, transformers were an asset that kept running under stable conditions in a centralized grid. The exact condition of the transformer, especially that of its insulation and aging, were not known but due to stable load conditions many transformers had a long lifetime. Today, however, grid conditions have become more stressful due to the integration of volatile renewables and distributed energy resources, and, for example, the rise in the number of electric-vehicle charging stations. Additionally, asset owners feel pressure to ensure competitiveness and effective allocation of capital and operational expenditures. Therefore, better insights are needed in order to ensure sound decisions on transformer maintenance, repair or new investment. 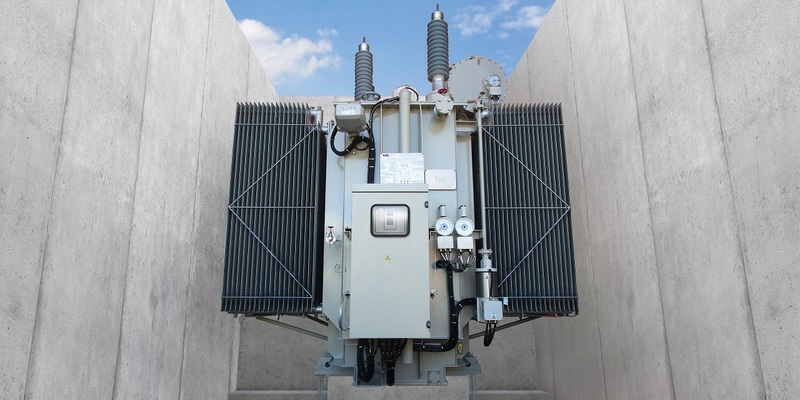 Further, those armed with the right interpretation of data can benefit from dynamic optimization of the transformer loading and reduce the need for site visits. They can make informed decisions and trade-offs between overloading the transformer for immediate financial gains versus shortening transformer life. ABB is enabling asset owners to meet all these challenges by digitalizing new transformers as a standard feature. The ABB Ability Power Transformer monitors health data and delivers actionable information to enhance grid reliability and the efficiency of load distribution, and increase service and maintenance productivity by enabling condition-based maintenance. During the lifetime of the transformer, upgrades are easily possible thanks to a modular and scalable architecture. Therefore, the ABB Ability Power Transformer is a future-proof investment designed to open the world of digital possibilities to asset owners and enable them to gain a competitive edge in a changing environment→7. 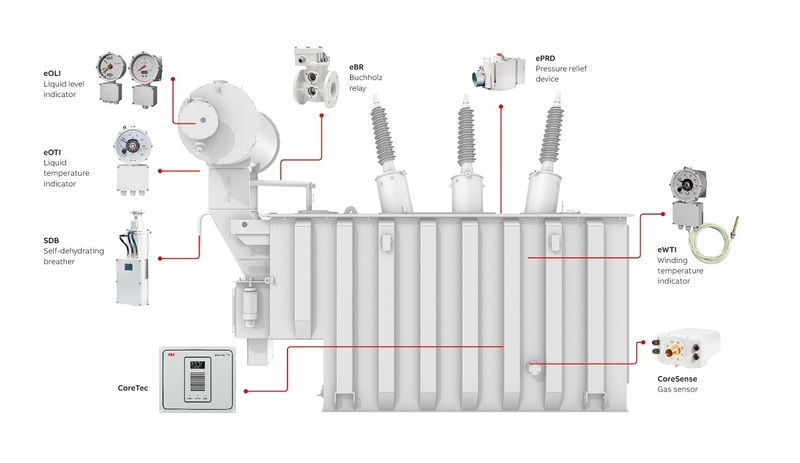 07 Summary of the concept and benefits of the ABB Ability Power Transformer. The AAPT was introduced to the public at the 2018 Hanover Fair and garnered positive reactions and feedback. The market launch of this new product underlined how ABB has, throughout its long history, been able to solve important customer problems, deliver real benefits and spearhead innovation. International Electrotechnical Commission, “IEC 60076–7:2018: Power transformers – Part 7: Loading guide for mineraloil-immersed power transformers,” 2018.